Note that the actual shipping price may be more than the estimate. Click here for more information. Our Whistle flute is a hybrid instrument. We use a narrow diameter material which adds more range, often achieving 2½ to 3 octaves. We produce these flutes in all keys and scales. 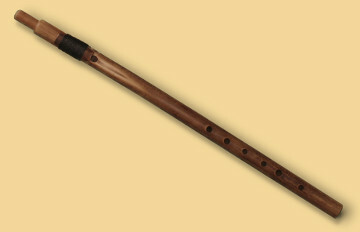 The flute's mouthpiece is a thipple style with the air slide tied on for the longevity of the flute. These flutes create a bird-like sound and play like the Irish penny whistle. 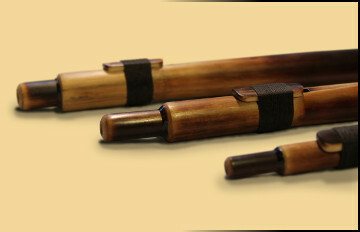 They are completely constructed of bamboo and are beautifully finished and bound. See the main flutes page for key recommendations.